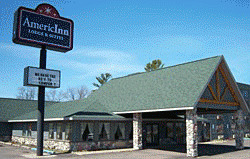 AmericInn of Silver City Michigan is located on Lake Superior (also know as Gitchee Gumee) at the junction of HWY-64 and HWY M-107. We are a short 13 miles west of Ontonagon, Michigan and 3 miles east from the entrance to the Porcupine Mountains Wilderness State Park. The “Porkies” offer visitors year round outdoor fun with many hiking trails throughout the park, scenic overlooks and old mine sites, waterfalls, camping, fishing, hunting, canoeing, kayaking birding and biking. Abundant wildlife around every corner. Winter activities include cross-country skiing, downhill skiing, snowshoeing and snowmobiling with great photographic opportunities throughout the year. Our hotel can accommodate all of your needs. We have a restaurant on site and a banquet facility that can fit up to 200 people for large meetings or weddings. 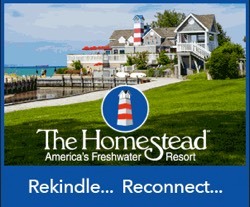 Any questions please call the hotel directly!